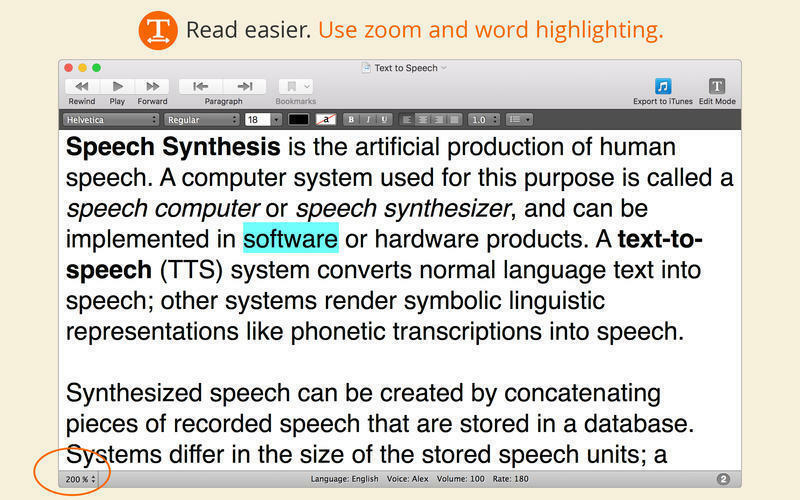 Easy to use Text to Speech. Is there a better alternative to GhostReader? Is GhostReader really the best app in Productivity category? Will GhostReader work good on macOS 10.13.4? 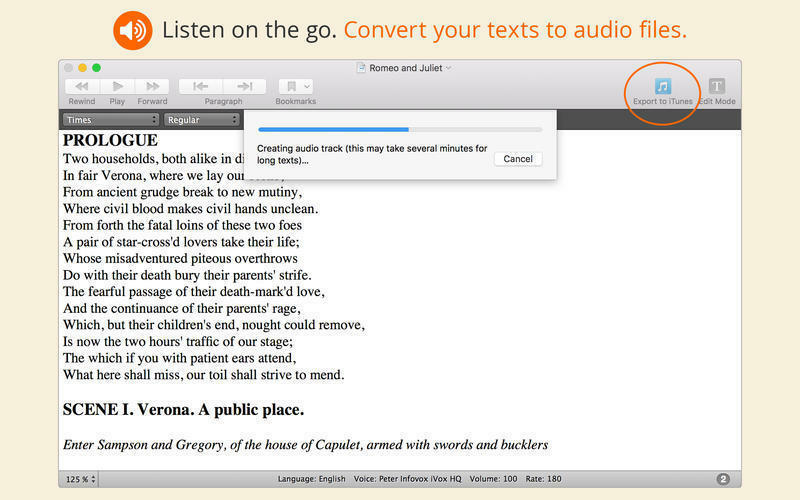 GhostReader is an easy to use, fully customizable Text to Speech app that allows you to listen to written text on your Mac. 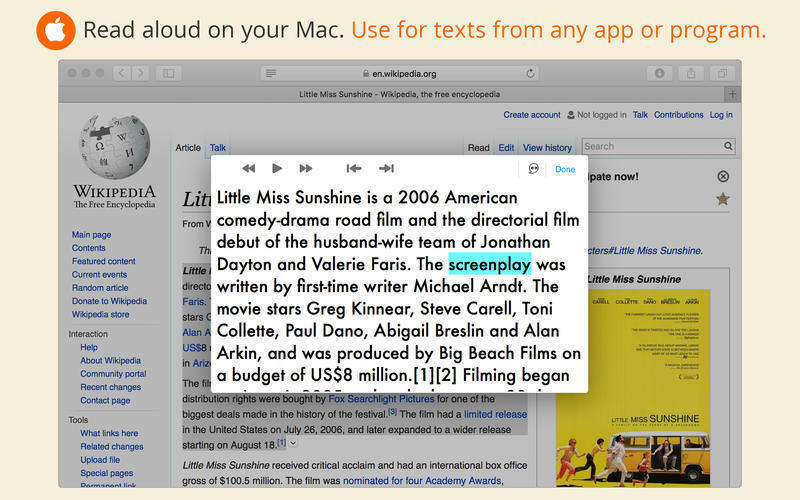 Read selected texts from other applications, import texts in almost every format and listen to them on the go. 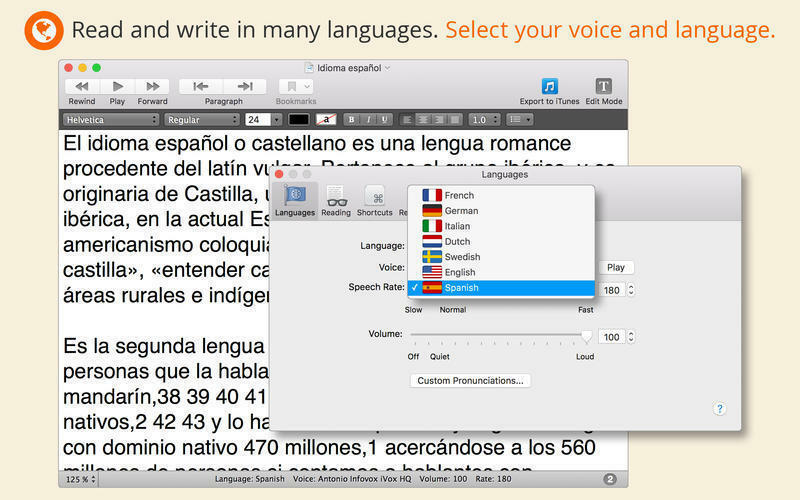 Whether you’re a creative professional, teacher or simply prefer to listen to written texts, GhostReader’s intuitive design and extensive range of customization features help you to effortlessly save time, improve your work or enhance your learning experience. This version also fixes a few minor bugs to streamline use with a Dvorak keyboard and to keep the playback volume steady. 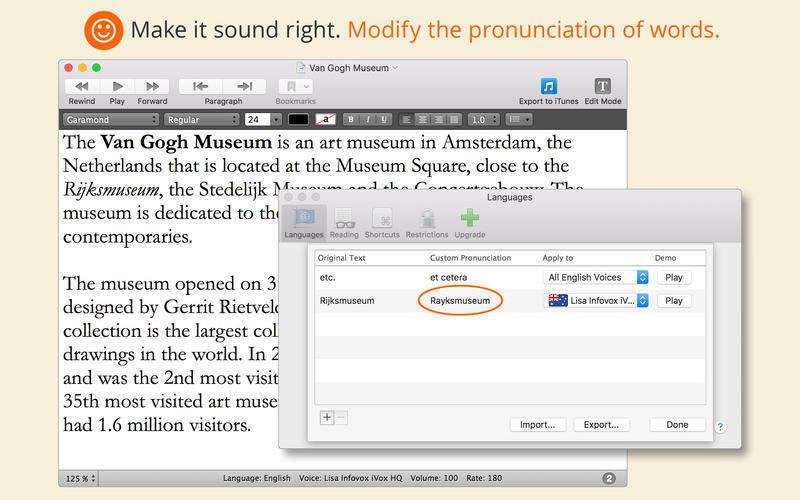 It also addresses issues with exporting files made with the Alex voice.